Cedarwood: Cedar is a versatile oil that acts as an astringent and a cleansing agent. Believed to have originated from the famous Lebanon cedars, this essential oil provides an exhilarating tonic for the scalp and face to help the bodyÂ deal with dandruff and acne. It can also be massaged into the skin for soothing, relaxing muscle rubs. Cedars are thought to offer longevity, and the oil it yields was used for embalming in ancient Egypt, and as an incense by Tibetan monks to aid in meditation. Medicinal Properties: Antiseptic, astringent, expectorant (helps remove mucous from respiratory system), kills and combats fungal infection, sedative, insecticide. Dilute with oil or add a few drops to a moisturizing lotion and massage into the skin for arthritis, hair loss, rheumatism and dry skin conditions.Â For oily skin, add a few drops to boiling water and lean over it with a towel for a steam facial, or diffuse to help ease tension and stress. Eucalyptus is excellent for Athletes Foot and other fungal infections (candida) cuts, dandruff, herpes, insect repellant, heals scabs, sores, wounds, boosts energy and supports the respiratory, circulatory, epidermal, and urinary systems. Eucalyptus leaves were crushed by the Aborigines to heal wounds, fight infection and to relieve muscular pain. Grown and harvested in China, Eucalyptus is often diffused in sick rooms to support the respiratory system and ease congestion. Cool and pungent, Eucalyptus has a camphor-like quality that blends well with lavender and pine for an uplifting massage. It is a powerful antiseptic that kills airborne germs and it has a cooling effect on the skin. In aromatherapy, it is an excellent decongestant for fever, flu, coughs, colds or sinus. It soothes muscular aches, sprains and pains and helps to heal abrasions. Safety Precautions: Avoid in pregnancy, if have you have high blood pressure, or a history of epilepsy. Possible irritant to sensitive skin used pure or in strong dilution. Do not continue use for more than a few days at one time. Toxic when taken internally. Abscesses, boils, Air purifier, Asthma, Arthritis, Acne, blemishes, Blisters, burns,Â Bruises & sprains, Cuts, Cystitis, Chest & throat infections, Common cold,Â Fever, Headache, Immune stimulant, Insect repellant, Laryngitis, Muscle stiffness, Pain caused by a nerve lesion,Â Stings & insect bites,Â Swollen glands. Psycho-Emotional Benefits: Deepen concentration, Strengthen focus, Increase alertness, Stay awake, Clears the mind. Fennel is an ancient herb, believed to convey longevity, strength and courage. 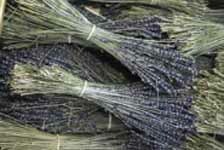 Fennel has been used to ward off evil spirits, improve vision, and to neutralize poisons. It has traditionally been used for obesity, which may be due to a type of estrogenic action, which also increases the milk of nursing mothers. It is said to balance hormones. Used for infections, Considered helpful for obstruction of the spleen, liver and gall bladder. Fennel is great for massage and can be diffused. It helps eliminate toxins from the body. Add to mouthwash for gum disease or infections. Grapefruit Enhances the digestive, circulatory, glandular, urinary, and nervous systems. It is an overall relaxer. A stimulating lymphatic massage of Grapefruit can promote the appearance of smooth, undimpled skin, enhance circulation, and help regulate healthy body fluid levels. In addition, the aromatic influence of Grapefruit helps decrease appetite and balance emotional extremes. Dilute with oil or add a few drops to a moisturizing lotion and massage into the skin for sore muscle treatments.Â Use anytime, especially before exercise for cellulite treatment. For oily skin, add a few drops to boiling water and lean over it with a towel for a steam facial, or diffuse to help ease tension and stress. Diffuse for balance and appetite suppressant. There are many different species of lavender in the world, but perhaps the truest of the â€œtrueâ€� (Lavandula angustifolia) is English Lavender. The genus, angustifolia, grows all over the world, and most experts will tell you that it is the lavender of choice, when compared to the other species. This is because, angustifolia, when distilled, produces an oil that contains less than 1% camphor. By contrast, other species, such as latifolia (Spikenard) and x intermedia (which is actually a lavandin) contain up to 8% camphor. Tart, tangy true lemon aroma. This one smells like grated lemon peel (just as it should). Lemon Oil is a strong germicide and astringent, a wonderful air disinfectant and freshener. I use it in cleaning solutions all the time for its clean scent and disinfecting action. Lemon Essential Oil has fever reducing action as well as its effective germicidal action, so it's a good oil to use to aid in treating colds and fevers. Lemon oil stimulates the immune system, and stimulates circulation. Lemon is a key component in most anti-cellulite blends. It has a toning effect on oily skin and hair. MintÂ supports the respiratory, immune, nervous, and musculoskeletal systems. During painful periods and at times of PMS it assists against cramps, relieves pain and eases tension. Lessens fatigue associated with pre-menstrual syndrome, dispels hot flashes associated with menopause. Peppermint's invigorating aroma enhances alertness and soothes headaches. Myrrh Essential Oil is a respected and ancient wound healer and panacea for many diseases of the old world, such as dysentery and leprosy. Used in the Egyptian embalming process and valued spiritually for its perfume. Soothing, drying, and fortifying, myrrh has an antifungal quality and is useful in many skin, gum and bronchial disorders. Myrrh Essential Oil has a powerful preservative property that can be effective in preventing the spread of gangrene. It has a steadying effect on the nerves. The essential oil of the Sweet Orange is delightfully bright and cheery, strongly antidepressant. . Used in the aroma lamp, it brightens the atmosphere of a room. Blended with any of the spice or coniferous oils it makes a wonderful winter holiday blend. Orange is refreshing and relaxing. It can cause photosensitivity so be careful of applying to the skin prior to exposure to sunlight. It is generally considered mild enough for use with small children.Orange is great sent that is invigorating, wonderful in the mornings! Note: Many people will not use Rosewood because they believe that harvesting the wood denudes the rain forest. I have been told that the Brazilian government now requires that one new Rosewood tree be planted for every mature tree that is harvested, to protect the future of the rain forest. This oil is distilled from a plantation that reforests. Rosewood, with its rich floral aroma, can be an aphrodisiac, an antidepressant, and a general balancer to the emotions.Â Â In skin care, it is said to stimulate new cell growth, regenerate tissues and help minimize lines and wrinkles. It helps balance both dry and oily skin, and can prove helpful against acne.Â Some authorities say it has a hormonal effect, not unlike that claimed for rose and for geranium. It blends well with both of these oils. Sandalwood is not an inexpensive treat. The cost of the raw material was $AU 10,000 per metric tonne, in 2002. The cost of the oil has been steadily increasing over the past five years. Why? Traditional, Asian supplies of Sandalwood have diminished, and many countries now impose cutting standards on native stands. I am paying about $200 dollars an ounce for this essential oil, which should give you an idea of why the soap is higher in price. Farming sandalwood has become a lucrative business -- it's Australia's most highly priced exported wood. South Pacific islanders farm sandalwood privately, and more farmers are being wooed by the large pay-off at harvest. But they must be patient, and have other occupations, as well, since it takes 14-30 years til a Sandalwood tree is ready to harvest. At the time of this writing, no national or international body has come forward to take the reins on Sandalwood production and preservation. However, regular meetings occur between neighboring islands throughout the South Pacific region, to discuss and address the export and farming issues. Assists the lymphatic, digestive, and circulatory systems. Use with orange and lemon for a calming blend. The sweet, comforting aroma of Tangerine promotes feelings of tranquility when inhaled, and can be applied topically to oily skin. Tangerine also maintains healthy digestive processes when massaged into the stomach in a clockwise direction. Dilute with oil or add a few drops to a moisturizing lotion and massage into the skin for arthritis, hair loss, rheumatism and dry skin conditions.Â For oily skin, add a few drops to boiling water and lean over it with a towel for a steam facial, or diffuse to help ease tension and stress. Physical benefits: acne, blemishes, digestion, excess fluid, hiccups, muscle spasms, obesity, PMS, scars, stretch marks and skin toner. Psycho-Emotional Benefits: dispel stress, clear irritability, lighten fatigue, dissapate anger and nervous tension and lower anxiety. Invigorating. Tea Tree's astounding healing qualities were used by the Aborigines. It is also known to have powerful germicidal and antiseptic effects.Â Tea Tree helps support the immune system. The essential oil is a powerful, antiseptic that kills bacteria, fungi and virus 12 times as effectively asÂ carbolic. In aromatherapy it is used for cold sores, athletes foot, nail fungus, toenail fungus, cuts, burns, acne, herpes and nappy rash. I love Vetiver...but there is so much bad, burned Vetiver out there today...smelling like the ruins of last night's campfire...not the rich, sweet honeyed depth that I love. But then a new Haitian distiller started Hydro diffusing Haitian oils, and I was gifted with a smidgeon of his Vetiver essential oil.